This mask is painted to have an antique look. large peacock feathers are added accent the mask. 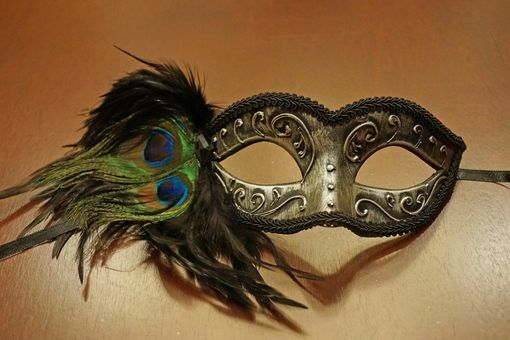 This mask comes in three colors to choose from. Secures with black ribbon ties.